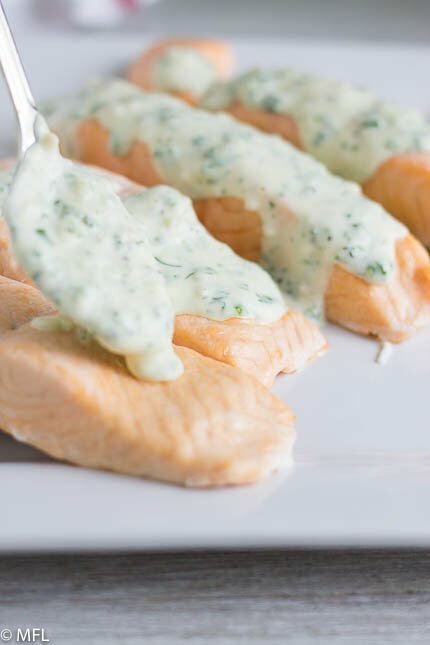 This Pressure Cooker Salmon is the perfect quick and elegant meal. 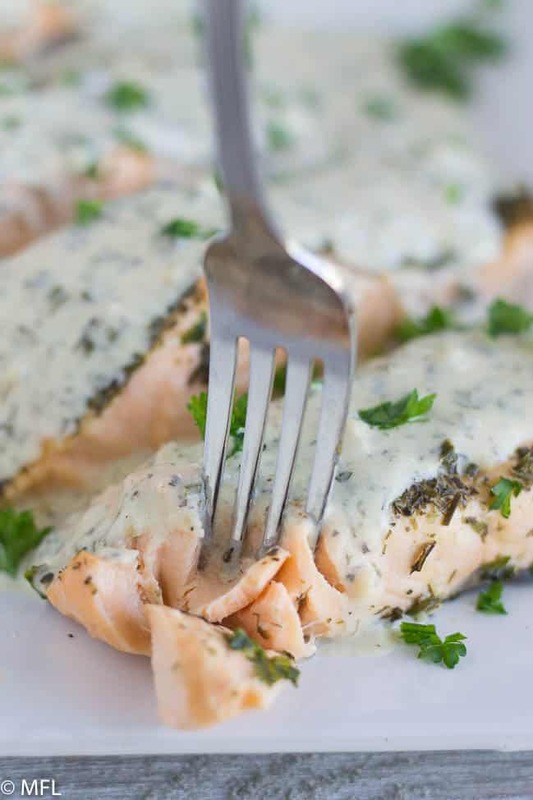 Top it with a creamy herb parmesan sauce for a quick and fancy meal. This post may contain affiliate links, please read my full disclosure here. I would have never imagined that I, Tanya, would be cooking salmon in an electric pressure cooker. 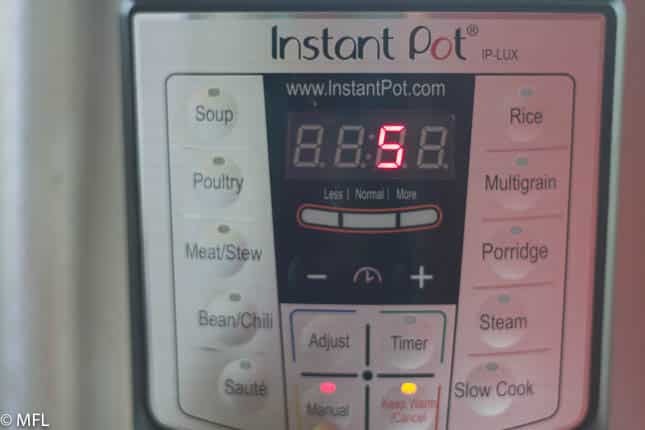 Not too sure why I am surprised since I use my Instant Pot for just about everything. I’ve made sous vide egg bites and cornmeal porridge for breakfast and this beautiful shrimp paella for dinner and meal prep lunches. But fish, in the pot? Yes, it can be done and it’s so awesome. 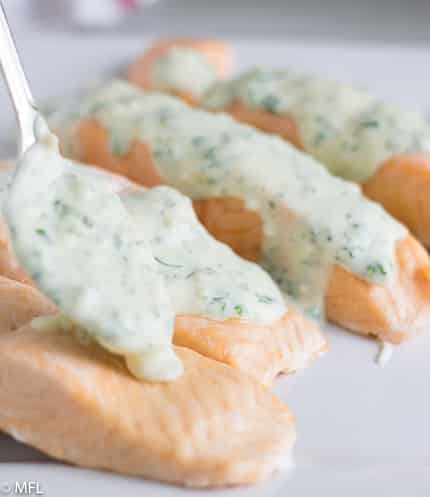 The inspiration for this recipe comes from a high school friend Katharine who informed me of a salmon recipe she created in her Instant Pot. Her method was simple yet genius. 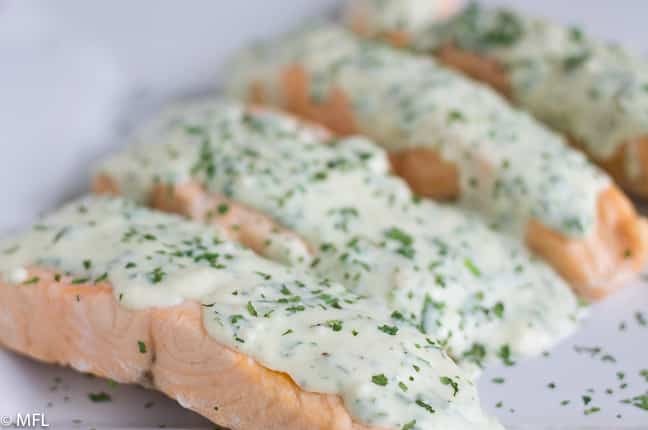 Salmon in pot with stock, herbs, and lemon juice; pressure cook, remove and add cornstarch and let cook until it thickened. Amazing sauce and fish. I was intrigued and I decided to give it a go myself. But there was a problem. Every single time I wanted to try the recipe, I didn’t feel like making a store run to get fresh non frozen salmon. And the week I finally bought salmon, I bought it frozen and forgot to defrost it the day I wanted to make it. Yes, fish defrost quite quickly under running water but even that felt like such a hassle. So it dawned on me, why not cook it from frozen, just like I did with the shrimp in the shrimp paella. I set it to the same cook time for 5 minutes, closed the lid, and said a prayer. Well prayer works because my salmon came out perfect! With just a 5 minute cook time, my salmon was done from frozen. My fish was flakey and perfectly cooked, and I was able to make an amazing sauce in the same pot once done. Dinner was complete in less than 20 minutes! 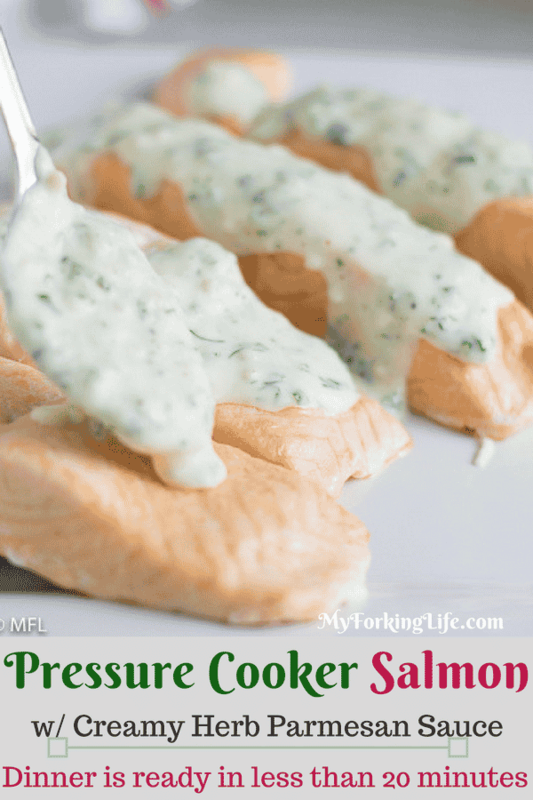 The beauty with this salmon in the pressure cooker is the ability to use fresh or frozen fish. 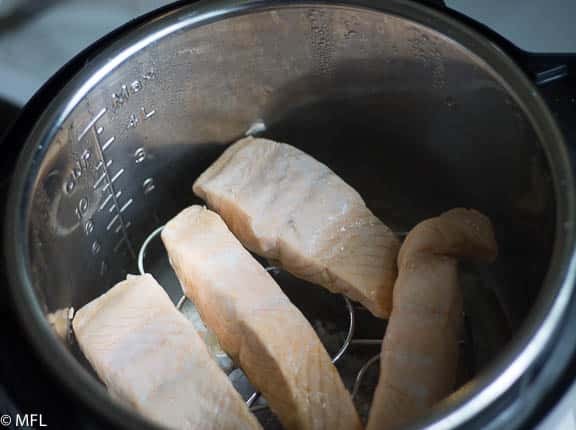 Non frozen fish will cook with a pressure cook time of about 3 minutes. 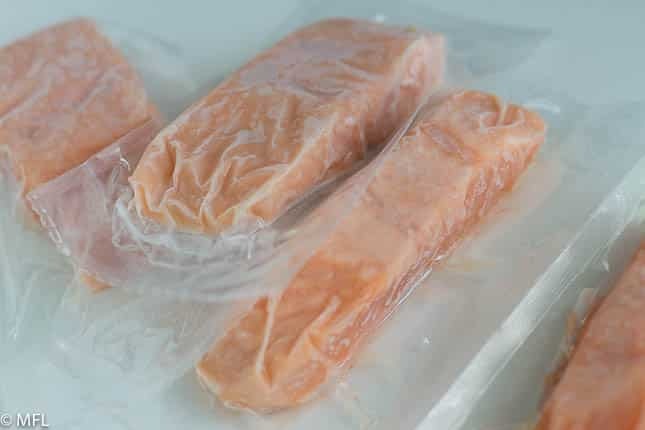 Use your judgment when setting cook times for fresh or frozen fish. The thicker and bigger the filet, the longer the cook time. You can have fun with the herbs used in this dish as well. 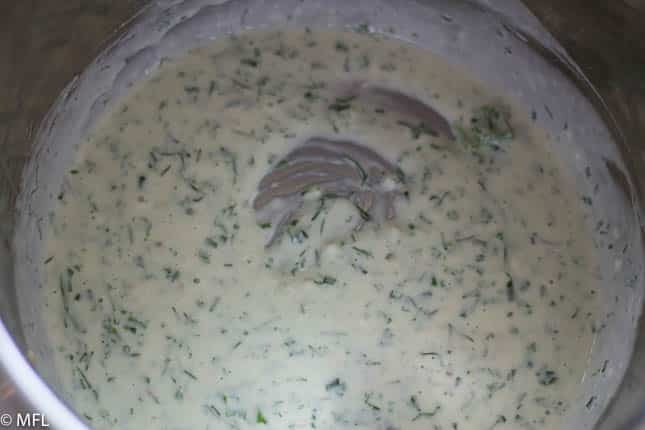 I’ve used various combos of basil, parsley, chives, and dill and it’s always been delicious. 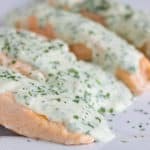 This Pressure Cooker Salmon with Creamy Herb Parmesan Sauce is the perfect quick weeknight and elegant meal. Top it with a creamy herb parmesan sauce for a quick and fancy meal. Place water and garlic in insert with trivet on top. Place salmon on top of trivet. Once timer goes off, quick release the pressure. 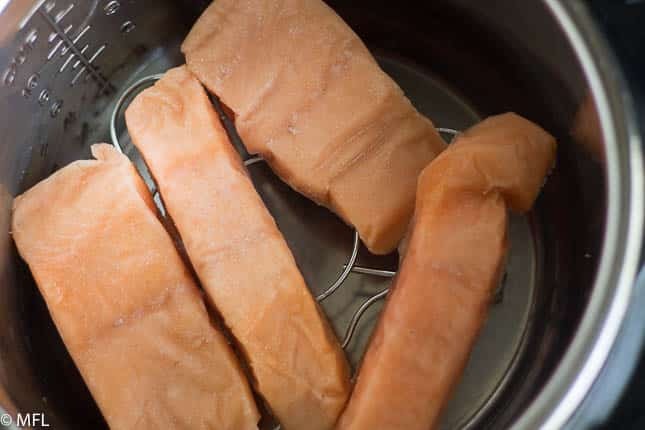 Remove salmon and trivet from the pot. Turn off pressure cooker and set to Saute and adjust to Normal. 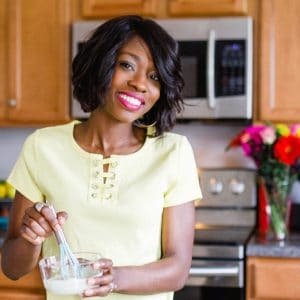 Once water begins to boil, whisk in the heavy cream and bring to a boil again. Allow to boil for about 2-3 minutes. The mixture should be able to stick to the back of a spoon. Turn off pressure cooker and remove insert from heat. Whisk in chives, parsley, dill, parmesan cheese, and lemon juice. Salt and pepper to taste. *Adjust time based on thickness of filet. The time listed is for 4-5 minutes under high pressure for frozen salmon. Thicker bigger filets will likely need a 5 minute cook time while thinner ones will need less of a cook time. Use your judgment when setting cook times to avoid overcooked and dry fish. Dry herbs can be substituted for the fresh in this recipe, just cut herb amount in half. Also, add herbs before pressure cooking if using dry herbs. Fresh herbs should be added as instructed in the recipe. Broth can be used in place of water for recipe. It takes about 10 minutes to reach pressure in the pressure cooker. 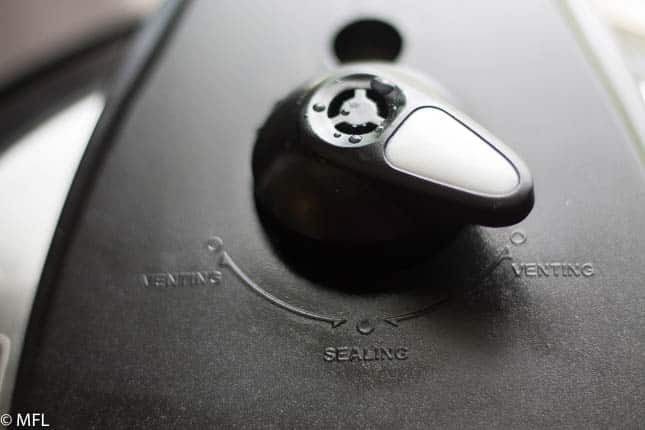 Make sure quick release is done as soon as pressure cooker timer goes off to avoid overcooked salmon. 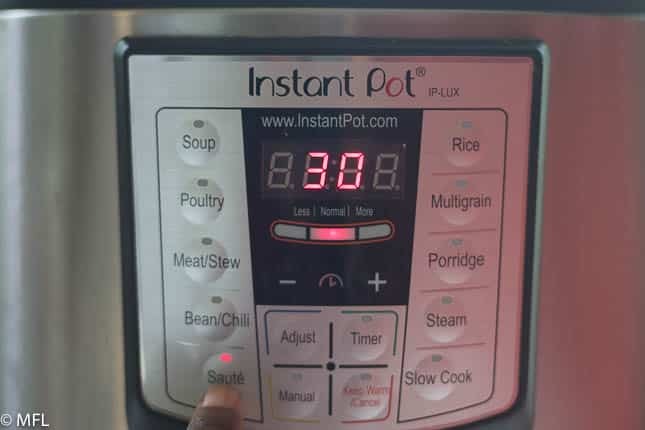 These directions are for a 6 quart Instant Pot. Please modify accordingly for bigger or smaller models. Serve over pasta or rice with a side of vegetables to complete your meal. Place lid on top, making sure it is in the sealing position. 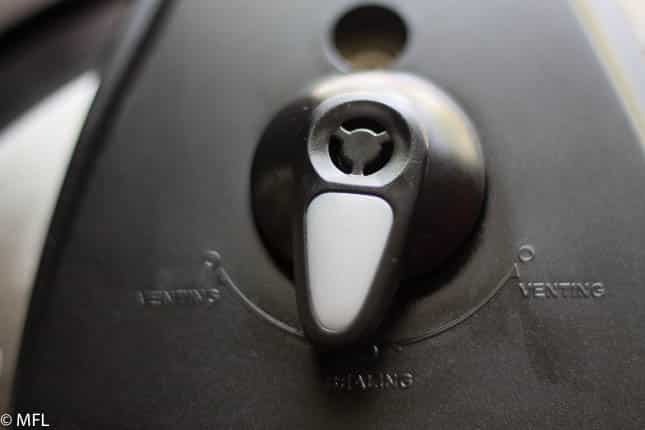 This is how you quick release the pressure by turning the knob to Venting. Open lid and remove salmon and trivet. 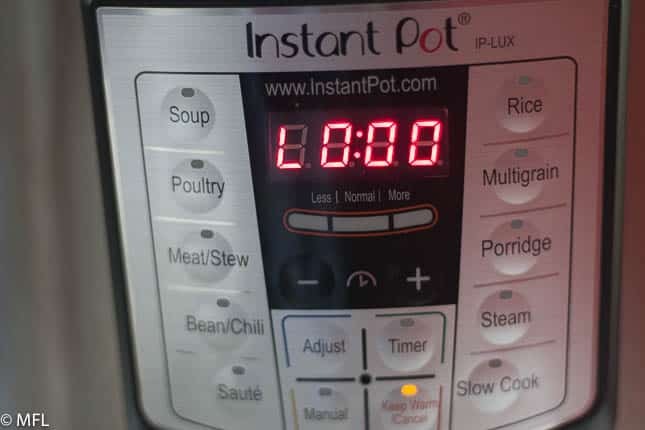 Turn off pot and then set it to Saute. Adjust the heat to normal. 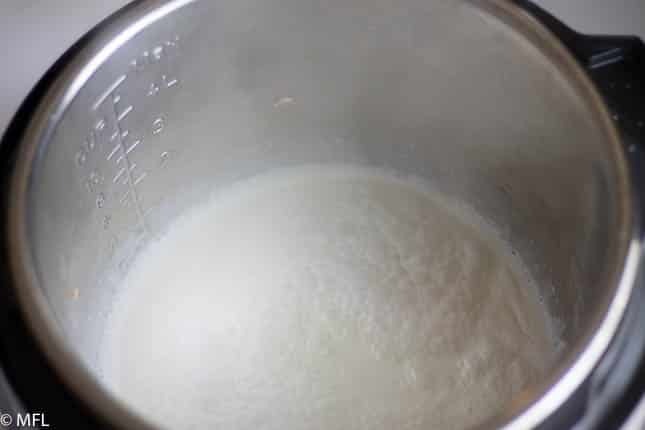 Once water in pot begins to boil, whisk in heavy cream and bring the liquid to a boil again. 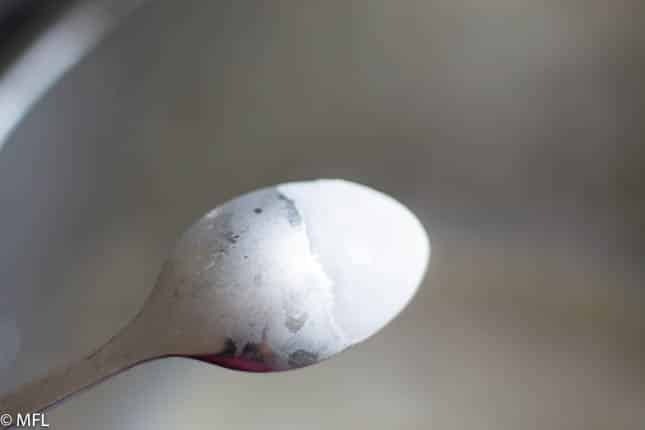 Allow to boil for about 2-3 minutes, until the mixture coats the back of a spoon. Turn off the pressure cooker and remove base from heat. Stir in parmesan, herbs, and salt and pepper to taste. 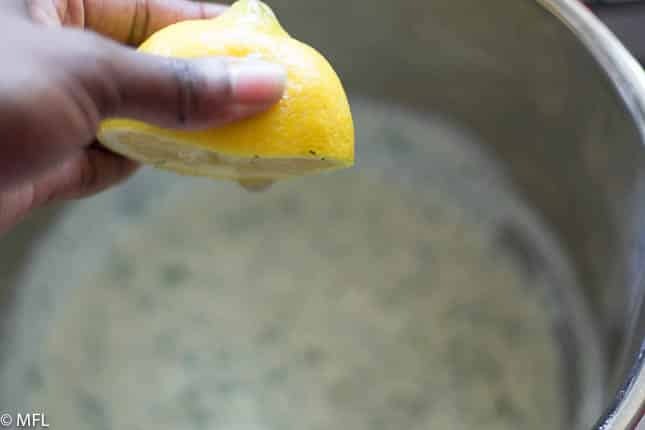 Stir in a nice squeeze of lemon juice.